Driving a car is not all just about speeding, braking is an important aspect too. And when it comes to braking, your car’s ABS brakes are the hero. The Anti-Lock Braking System is widely found in vehicles today and it helps you reduce your car’ speed without jamming the wheels. This results in fewer accidents and quicker stops. However, ABS brakes work under a system, where ABS sensors send information to the car’s computer and the computer makes the decision to activate the ABS function. 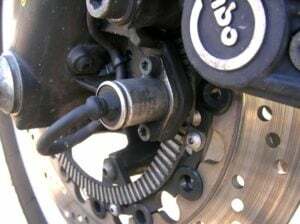 These special sensors are located near the wheels and consist of two vital parts: the tone ring and the magnetic sensor. Both of these parts work together to ensure the ABS’s efficient functionality. However, these components are exposed to wear and tear and with time their performance can deteriorate. If any of these components fails to function, you can be in big trouble but fortunately for you, there are ways you can detect their failure. Every car is different so while some symptoms might show in your car where they won’t in other cars. Check out the ABS Sensor failure symptoms below and expand your knowledge. The core function of the ABS speed sensor is to monitor, record and transmit the information about the manner in which the tires rotate. In case there is a slippage between the wheels of your vehicle, the ABS sensor would quickly alert the ABS system. The message is generated from the difference sensed by the ABS sensor and it is transmitted to the ABS control unit. As the result, the ABS would engage and override the manual braking of your vehicle. 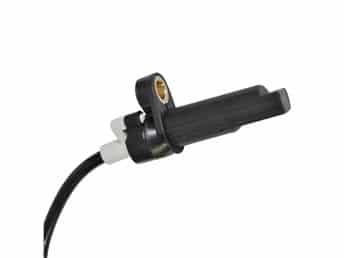 Basically, the ABS speed sensor consists of a magnetic sensor which carries out the principal function. Upon the principle of induction, when the tone ring slots pass from within the magnetic lines of forces of the magnetic sensor present in the ABS sensor, a voltage will be induced. This voltage then generates a signal for the ABS control system. Although this is the most common principle, in some vehicles the design may use a different approach. Usually, such a sensor is mounted on everything that has a rotating body. It is essentially a safety anti-skid braking system. All the symptoms will do is help you diagnose ABS sensor failure. At the end of the day, you would have to find a solution yourself or schedule a visit to the nearest workshop. The ABS system is placed to help stop your car quicker. It only comes into play when you press the brakes hard enough. Therefore, any fault in the ABS sensor will not activate the ABS system on time and you will find your car taking longer to stop than usual. You also might sense your car skidding and losing traction when you brake hard. If an ABS sensor sends a faulty signal, you can experience pumping in the brake pedal when braking. This is caused by that the sensor makes the brake control unit to think that the car is slipping, but in reality, it is not. 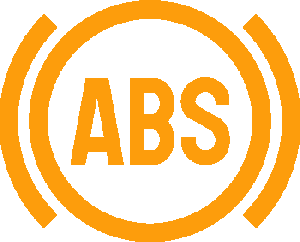 The ABS sensors transmit valuable information to the ABS system which allows it to maintain your car’s stability and traction on less grippy surfaces. Wet and icy roads are the biggest enemy of your brakes and your ABS system is probably the only shield against losing traction other than the use of winter tires. Therefore, if you feel you are losing control when braking on wet roads, it shows your car’s ABS sensors are not in optimum condition. However, it could be the module that is not functioning properly. To know the truth, you will need to visit a mechanic and ask for a checkup. Where are the ABS Sensors Located? Typically, in most modern vehicles the common design requires the ABS speed sensors to be mounted near the wheels. Technically, this is the most suitable place for mounting the ABS speed sensors on your vehicle. There may be an exception in certain vehicles which are relatively different, such as the trucks which have solid axles. If the ABS sensor is not working properly in terms of monitoring the sync between the wheel and the brakes, it should be replaced by a new one. If you are willing to do the replacement by yourself, here is a brief step by step guide on how you can go about replacing the ABS sensor of your vehicle. The replacement instructions can differ a lot between different car models. This is a general guide. Make sure that you have all the materials with you that are required. By diagnostic procedure, make sure which sensors have failed and needed replacement. This is usually done by testing each sensor individually. Remove the sensor by unmounting it from the wheel. Thoroughly clean the tone ring and the sensor mounting hole to remove the dust accumulated on it or the brake lathe particles. Install the new sensor from where you removed the old one by inserting it into the mounting hole. Connect the connectors back on the right places and route the sensor wires along the correct path. The diagnosis is important for the ABS sensor as it will help us understand where exactly the problem lies. Here is a brief procedure that can help you diagnose a bad or a failing ABS sensor. Find all the connectors and electrical wires. remove them one by one. After attaching the switch, the voltmeter to AC voltage. If the readings do not appear and remain to be zero, the ABS sensor has failed and should be replaced by another one. Once you know of the problem it is wise to start thinking about solving it. However, solving ABS related problems is not everyone’s cup of tea, therefore there is only so much you can do. Here is a list of things you can do to solve your ABS Sensor failure. The ABS sensor/s is located near the wheel where the rest of the suspension is situated. Most of the time, a sensor can become unresponsive if dirt gets accumulated near it. You can use a blower to clean off the dirt from your suspension and wheels or you can go to a service station, pay a few bucks and get your car cleaned from underneath with a pressure pipe. If you are lucky, your car’s ABS Light will go away. However, even after trying everything you are still unlucky, it is time to visit a seasoned mechanic. Mechanics are car doctors and as such, they charge exorbitant rates for their service. But when you have no choice, you have to spend money. The cost for replacing the ABS sensor can be different depending on the vehicle you are using. Since the ABS sensors are replaced along with the complete control module. This again depends on the type of the underlying problem and the design of the ABS system installed in your vehicle. In the case where you can and need to replace only one ABS sensor, you may need to pay an amount ranging from $100 to $200 on average for most vehicles. This does not involve the labour cost. If you are not doing it by yourself and have a mechanic to do the job for you, it can cost you another $50 to $150 depending on the time it takes to replace it and the amount that the mechanic or car repair shop would charge you. If you need to replace an entire ABS control module, the cost for it can go higher from $200 to as much as $600 in certain vehicles. For luxury vehicles, you should expect a relatively higher price for the devices and parts.